Dr. Todaro answers questions for a class of University of North Texas students. Last month, in an auditorium in Little Rock, Arkansas, I listened to Dr. Julie Todaro welcome enthusiastic University of North Texas graduates to librarianship. Going into the event, I was excited that our ELMS (Educating Librarians in the Middle South) cohort would have the opportunity to meet such an esteemed guest. Not only is Dr. Todaro an agent of change seasoned in working with most facets of libraries, but as you probably know, she is also our incoming ALA president. As I listened to Dr. Todaro’s speech, I wished that I had been able to record it. I think that you would have thoroughly enjoyed it. There were so many points in the speech that emphasized why our job is crucial, and sometimes it helps to hear it from someone else. All is not lost, however, for I have a few notes to share with you. 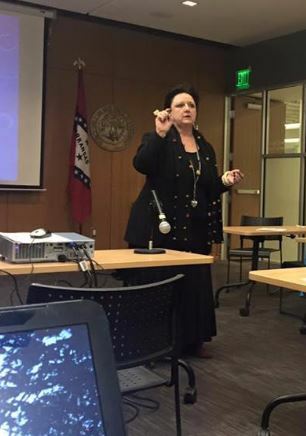 As Dr. Todaro spoke, she reminded the audience that librarianship is characterized as a supporting profession. Yet, librarians also provide valuable, critical services and need to assume leadership roles, as well as take the initiative to identify what those roles entail. Given our impact upon society, we should always endeavor to know what is trending out there, and part of knowing that is understanding where to get information. I hope that you find this advice to be as reinvigorating as I did. Do you know what’s trending out there right now? How will you show your community that you’re an expert? To get started, here are some professional development opportunities for February 2016. As always, please contact me if you have suggestions for a professional development opportunity. 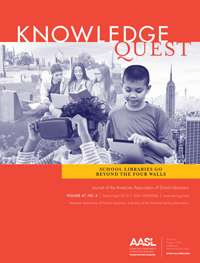 Description: As school librarians you, too, have to learn to think, act and learn to teach information literacy within the STEM, STEAM, and STREAM context. In this webinar, Terry Young, a veteran librarian and science educator, will take us on a STEMulating discovery of STEM and NGSS. He will field questions from attendees during this live, interactive event. Librarians and teachers as well as school and curriculum administrators are invited to join in the conversation! Description: Volunteer engagement is changing. What do you need to know about social media as a volunteer program manager? How can you use social media to promote your volunteer opportunities and recruit volunteers? This webinar will offer an introduction to including social media in your volunteer recruitment and retention plans. You’ll see examples of Twitter, Facebook and YouTube pages, as well as blogs that have been used to successfully draw attention to organizations and volunteer opportunities. 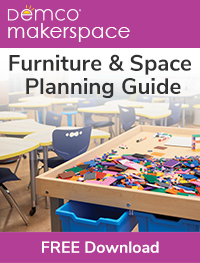 Description: Learn about best practices and resources that you can use at your library to create outdoor spaces, along with indoor and outdoor nature activities. It’s a unique way to connect literacy, learning and appreciation for nature as a regular part of the library visit. Title: Innovation with Gamification Level Up Your Learning! Description: Gamification is an innovative way to transform classrooms. Learn how to maximize the students’ learning potential by using game design and game elements in the classroom. Description: In September of 2015, EdWeb.net shared strategies to earn respect from students, parents, and colleagues. Webinar attendees had one driving question after the presentation – how do we earn respect from our administrators? Join middle school administrator Shannon Holden as he shares strategies that novices can use to earn respect from their administration. Description: Info2Go! offers monthly webinars featuring experts discussing current library trends with a focus on providing a platform for sharing knowledge and getting questions answered. Description: Discover the myriad of apps that Google has to offer. We will explore free apps that can be used in various content areas to accomplish multiple goals. Description: Tired of giving students the same book report assignment? Want to switch things up? Join this webinar to look at a few quick and easy ways to gauge student comprehension. Description: In this free, resource-rich presentation, you’ll learn how to use online tools to instill a love of literature in new and reluctant readers. From virtual book clubs to the creative use of Instagram and Pinterest, this program will show how students can find the right book, share it with their peers, and expand their writing skills. An expert on the intersection of technology and literacy, Valerie Shinas, will provide added insight. Description: In this session, the presenter (Michelle Luhtala) will share an array of curation solutions, their strengths and limitations, and strategies to morph tools and create workarounds where services still need work. 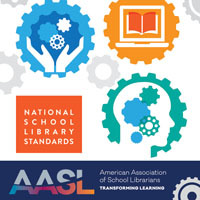 This webinar will benefit grades 3-12 school librarians, classroom teachers, curriculum leaders, and public librarians. Description: Would you like to learn some amazing tips and tricks for using Microsoft Office on your Mac or iOS device and become more productive? Join Microsoft Innovative Educator Expert Josh Davis as he shares tips and tricks for using Microsoft Office more efficiently on your Apple devices so that you can save time and spend the time you have on what matters the most – your students! Description: Want to help students develop their most creative and innovative abilities? Introduce them to digital storytelling, regardless of their digital device! Students can use digital tools to create and share their own stories or experiences, or reflect on what they’ve learned. Join Robyn Hrivnatz as she discusses how digital storytelling can be used in the classroom. She will include information about how you can use Sway, a NEW innovative web-based learning tool that can be used on any device. Description: Education experts will model how to use visible thinking strategies to enhance the power of primary sources. A wide variety of easy-to-use routines will be introduced. Participants will learn how to use the Library of Congress’ digitized collections to meet content and standards across the curriculum. Description: International test results in 31 countries showed females outperformed males in reading, and concluded that boys are “the new disadvantaged.” In this webinar, discover why “gross engrosses,” the importance of using humor with boys, and book titles boys will love to read. Motivation (versus direct instruction) as a key to get students to learn will be an overarching theme in this webinar. Examples of books that engage male students will be shown and discussed, as well as how to use books as a springboard to get male students excited about writing. Description: Discover how the application of eBooks can be used as an assistive technology tool for reading for all students – including those with special needs. In this webinar, Dr. Terence Cavanaugh will share the numerous features of eBooks that can be classified as accommodations. Description: Explore, compare, and contrast three different online photo tools. Participants will learn about the features of these three tools and then participate in a breakout session to learn more about the tool of their choosing. Description: The practice of flipping classrooms is becoming mainstream now – so much so that several online platforms have been constructed to help teachers with this process. Join educational tech enthusiast Shannon Holden as he reveals several free tools to help teachers (including teachers with no technological skills) deliver digital lessons to students. Description: Technology is pervasive. It has even become part of our daily apparel. Your shirt can sense the presence of another of its kind. Your watch can track your vital signs. Your shoes can keep track of your pace. Your undergarments can track your heart rate. In this episode of Tech Trends with Tine, Tine Walczyk, independent library technology consultant with Trainers-R-Us, will expand your knowledge of smart accessories.